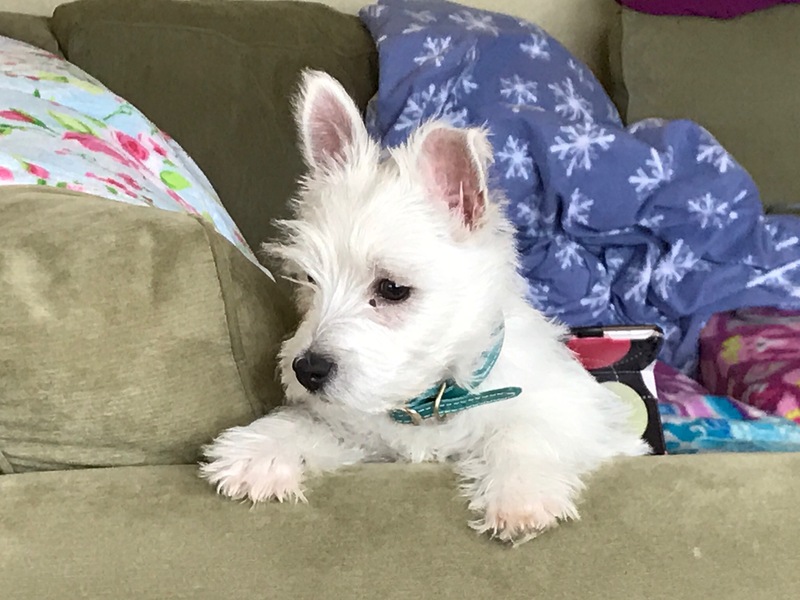 Trixie, our Westie, is now 13 weeks old and had her second visit to the vet this morning. She had a scheduled shot and examination. She is in excellent health and growing normally. Her weight increased by 50% in a month and now weighs a little over 6 lb. Her adult hair is coming in and will start losing her puppy teeth soon. The vet said that she’ll have another growth spurt by her next visit in May.